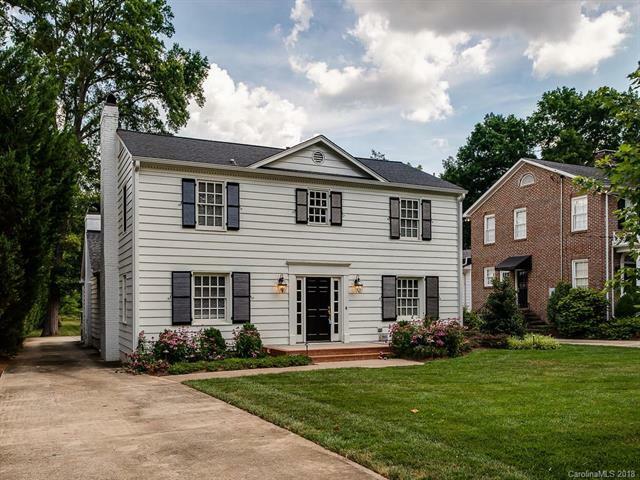 Wonderful, pristine home on sought after street in Eastover. Rare opportunity to own almost 3/4 of an acre within walking distance to highly rated elementary and pre-schools and easy access to top private and public schools. Thoughtfully renovated and expanded in late 2016, this traditional home offers formal areas, vaulted ceilings, an open, beautiful kitchen with built in banquette, large family room and downstairs master both overlooking a private back yard. Back staircase leads to bonus room, gym or office with great storage. 2nd upstairs master with remodeled bath, 3rd and 4th bedrooms have direct bath access. Full laundry room, drop zone, walk in pantry, premium kitchen appliances including full size wine cooler, newer 4 zone HVAC and duct work, abundant storage. Gorgeous landscaping. Side patio and back deck. Fantastic outdoor living. Minutes to Uptown and SouthPark and walkable to schools, parks, restaurants and retail... this location is hard to beat. The data relating to real estate on this Web site derive in part from the Carolina Multiple Listing Services, Inc. IDX program. Brokers make an effort to deliver accurate information, but buyers should independently verify any information on which they will rely in a transaction. All properties are subject to prior sale, change or withdrawal. Neither Rinehart Realty Corporation nor any listing broker shall be responsible for any typographical errors, misinformation, or misprints, and they shall be held totally harmless from any damages arising from reliance upon this data. This data is provided exclusively for consumers' personal, non-commercial use and may not be used for any purpose other than to identify prospective properties they may be interested in purchasing. © 2019 Carolina Multiple Listing Services, Inc. Data last updated 2019-04-24T07:58:40.123. © 2019 Piedmont Regional Multiple Listing Service, Inc. All rights reserved. IDX information is provided exclusively for consumers' personal, non-commercial use and may not be used for any purpose other than to identify prospective properties consumers may be interested in purchasing. Information is deemed reliable but is not guaranteed accurate by the MLS or Rinehart Realty Corporation. Data last updated: 2019-04-24T07:55:38.503.